You don’t want to get on Eddie McGuire’s bad side. 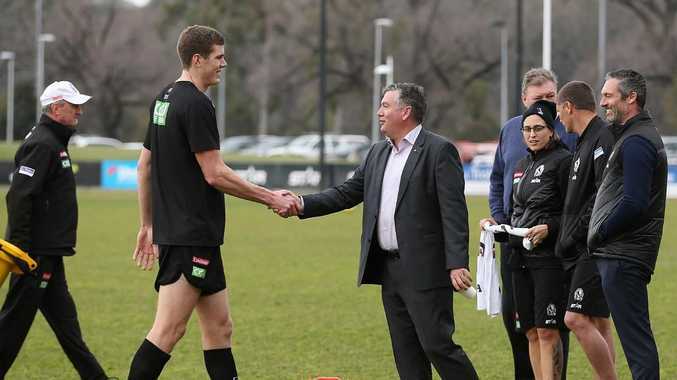 While some of his colleagues embarked on trips to Bali or are now trapped in the torturous summer heat of pre-season trying to shed the excess kilos that come with eating Christmas ham day after day, Mason Cox decided to invest his energy elsewhere. The Collingwood star, who hails from Texas in America's south, has been a revelation in the AFL since making his debut for the Pies in 2015 - both on the field and off it. The 2.11m giant had his best season to date in 2018 when he learned to not just compete at the elite level but dominate. His sense of humour has started to shine through more than ever before too. That’s a hell of a wingspan. Cox has successfully translated Australian slang on live TV and has spoken about VBs being his "bevvie" of choice since arriving Down Under - and he's made an effort to continue his Australian education this festive period. And what better way to do that than by getting into cricket. The big American signalled an interest in our national sport during the first Test between India and Australia, where he had an interesting observation from the couch. Then he decided to really ham things up and showed off his attempt at using cricket slang a week later. Unfortunately for captain Tim Paine, Cox had no idea who he was, but when the stump mic caught him whistling the Collingwood song during play the Magpies tall sent a thoughtful offer his way. By this stage Cox was really getting into a groove with this whole bat and ball thing - so much so he put his hand up for selection in the USA cricket team when America was granted Associate Member status by the ICC during the week. He's not sure how handy he'd be with the Kookaburra or willow in hand, so Cox kindly volunteered to help out at lunch and tea. Last night things got interesting when Cox posed the question to his 30,000 Twitter followers about which Melbourne team he should support in the Big Bash League (BBL) - the Stars or Renegades. The beauty (or grim reality) of social media is feedback is instantaneous, and it didn't take long for his throng of fans to let Cox know why he had no option but to cheer on the green machine. The Stars kindly replied to Cox and told him if he was in any doubt about who to support, he should ask his boss and Collingwood president Eddie McGuire. 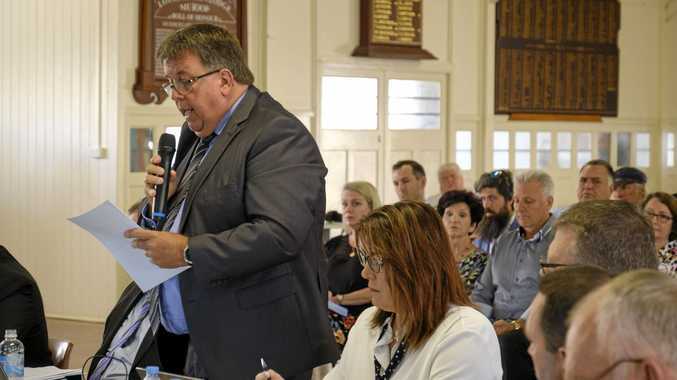 We're tipping McGuire only had one answer, because he's president of the Melbourne Stars board. Realising it was sacrilege to even contemplate cheering on the Gades and go against one of the most influential figures in Australian media and business, Cox returned to his keyboard and asked for the main man's forgiveness. Playing in the ruck or up forward, Cox averaged 10 disposals and nearly seven hit-outs a game last season. We reckon he's safe at Collingwood - whether he supports the Stars or not.